can be a great addition to your property. It gives your family privacy, keeps pets and children safe, and makes the whole yard look better. 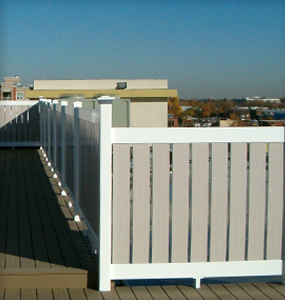 Unfortunately, many people choose a fencing material that decays over time or is vulnerable to weather/insect damage. Without expensive maintenance on a regular basis, these fences become unreliable and do more harm than good. 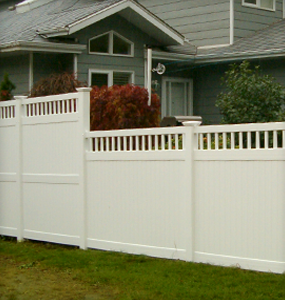 CVI offers you the chance to build a durable fence that is affordable and covered under a limited lifetime warranty. 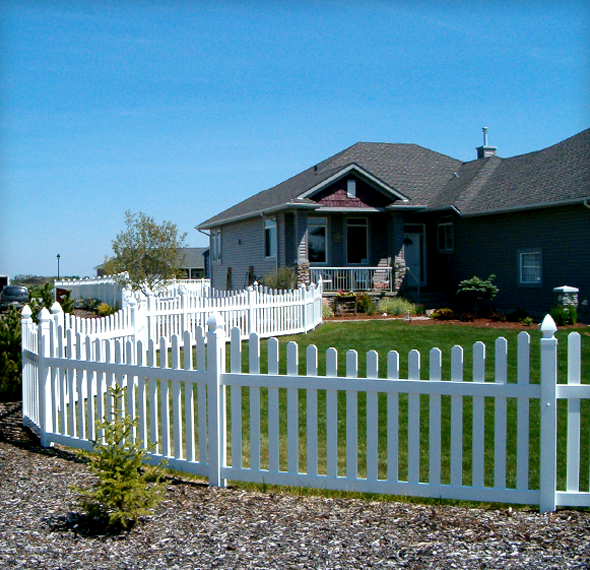 When the time comes for your neighbours to put a fresh coat of white paint on their wooden fences, all you will need to do is give your vinyl picket fence a quick wash-down with your garden hose or pressure washer to restore it to gleaming white perfection. 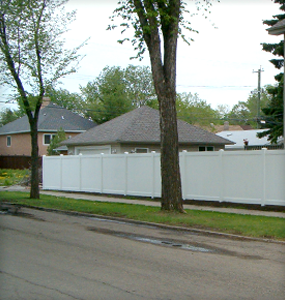 After many years of use, your white fence will look just as good as it did the day it was built! 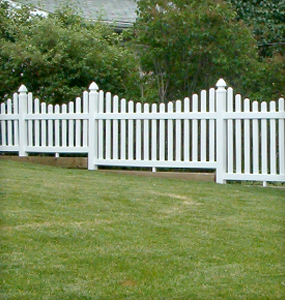 The classic fence with the long-lasting beautiful appearance of our vinyl fencing makes it decorative as well as utilitarian. Choose from a scalloped or standard style and prepare to be delighted in the incredible improvement to your front yard. A semi-privacy fence keeps animals and people both inside and out of your yard, but allows for a little more connection with the “outside world”. If you want to relax in the backyard but still see what’s going on beyond the fence, this is a great choice for you. A solid vinyl fence blocks out busy street noise, curious passers-by, stray animals, and even potential thieves looking for an opportunity to steal an unsecured item. Unlike a wooden fence of similar size, moisture, strong sunlight, and insects will not have any effect on your vinyl privacy fence’s ability to protect your yard. One of the main reasons people choose vinyl materials over wood or other fencing is its very low maintenance requirements. 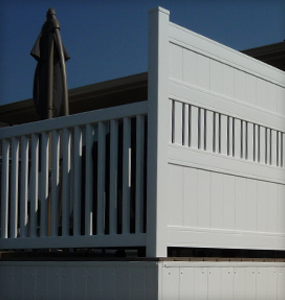 Resistant to UV rays, moisture, and heat, the white vinyl coating does not fade, peel, or grow mildew. Termites and other pests cannot break down the tough vinyl material, and stainless steel screws and bolts ensure that rust is not a problem over time. When designing your vinyl fence with the assistance of our experts, you will be able to choose from a range of style and accent options. Whether you want a basic fence that will do the job simply or a highly decorative design that will raise the value of your home, we will help you settle on just the right plan.